A 19-year-old man suspected of viciously beating and robbing an 88-year-old woman inside her San Jose home last week was charged with attempted murder Monday as new details were revealed in the case. Prosecutors say Zachary Cuen was trying to kill Flo Douglas during a robbery at her home in the Alum Rock neighborhood. 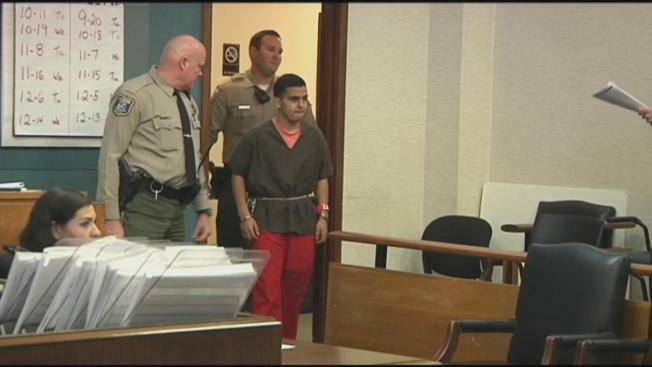 A shackled Cuen made his first court appearance at the Hall of Justice in San Jose, and the victim's family was there to hear the charges against him. "When the victim, Ms. Douglas, said she didn’t have any money, he started punching and kicking her multiple times," deputy district attorney Rebekah Wise said. "Ms. Douglas fell to the floor. He then continued to kick her." Wise said Cuen also threatened to kill the woman known around the neighborhood as "Miss Flo." "It was attempted murder, and he tried to kill her and demanded money and beat her brutally," said Michael Wallace, the victim's nephew. "It's just disheartening without question." The attack happened on Sept. 12 in the home where Douglas lives alone. Investigators said Cuen initially left then returned to beat the victim again, ransacking her house and stealing her car. Detectives said they also found one of Cuen’s fingerprints at the home. Cuen’s family also was in court Monday. They declined to comment. Douglas remains in critical condition in the intensive care unit after suffering hemmorraging in her eye and brain. Cuen was on probation in connection with a February vehicle theft and hit-and-run. He also attempted to burglarize an 85-year-old woman who lives in the same neighborhood as Douglas, sources said.